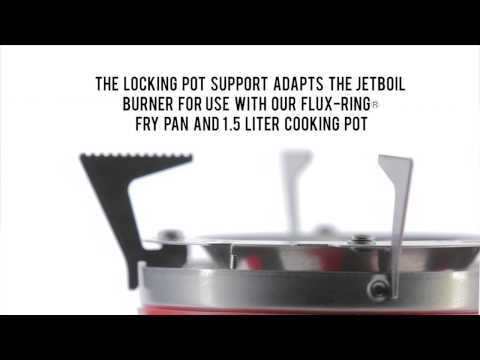 Adapt any of your camping pots for use with your Jetboil cooking system. Includes pot support that works with most cooking vessels and with Jetboil frying pans and 1.5L pots. Compatible with Jetboil PCS, Zip, Flash, Sol and Sol Ti burners.